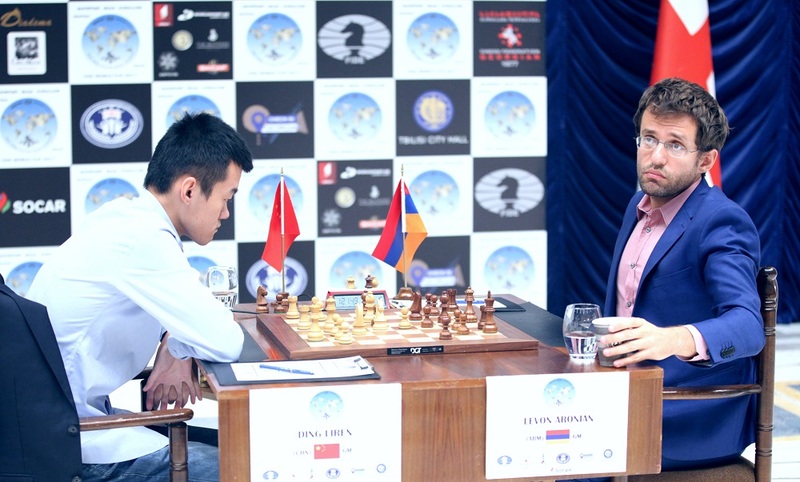 The fourth game of the World Cup final match between Levon Aronian (Armenia) and Ding Liren (China) was played in the Biltmore Hotel in Tbilisi. Ding Liren had White pieces but same as in the second game of the match it was Levon Aronian, who played for the victory. The Armenian Grandmaster managed to surprise his opponent and Ding Liren was in trouble from the early stage of the game. Levon Aronian transferred the game into the ending with extra pawn but Ding Liren was defending well and managed to hold his opponent for a draw. In a post game interview Ding Liren explained he was happy to find the idea with 41.Be4 and was sure the position is drawish after that. 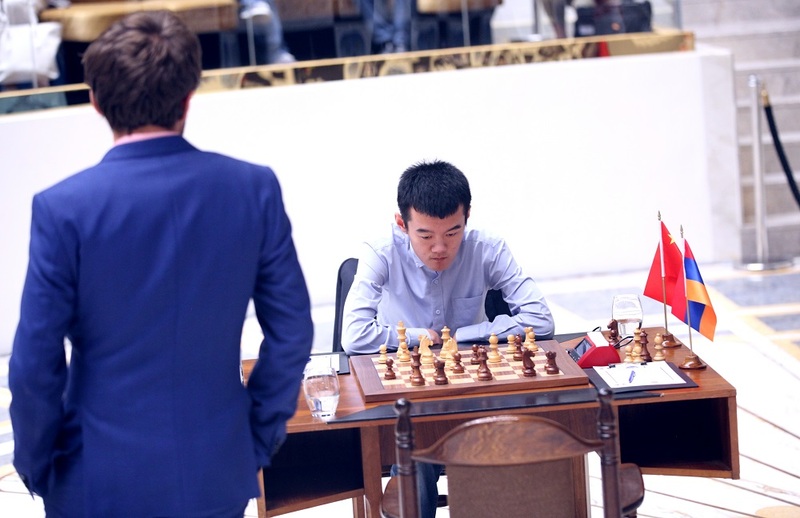 The Chinese Grandmaster admitted he had problems to fight for advantage in all classical games against Levon Aronian and he hopes to play better with shorter controls on the tie-break. The score in the match remains level. The final tie-break match and the Closing Ceremony will take place on September 27. Levon Aronian will have white pieces in the first rapid game. According to the regulations of the World Cup tiebreaks two rapid games are played at a rate of 25 min+10 seconds. If the score is still tied two accelerated rapid games are played with a time control of 10 min + 10 sec. If the score is still deadlocked two blitz games are then played at 5 min + 3 sec. Finally, if a winner has still not been determined a sudden death Armageddon game takes place.